The DigiScan Labs iProtect 1205 Portable Bug Detector is 2016 / third generation countersurveillance signal detector with a pen like outer appearance. It is a multifunctional professional tool designed to work well in covert situations. 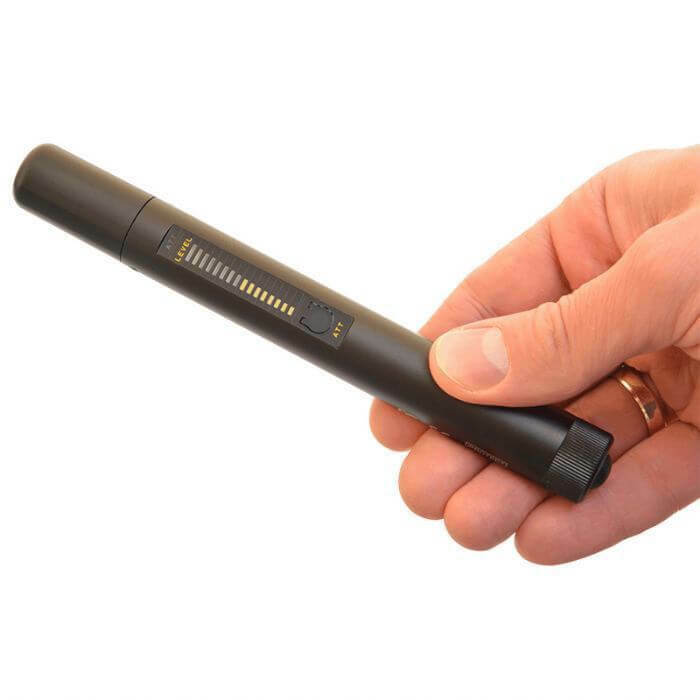 This bug detector stands out with it's design and functionality, simple pen sized design allows us to conveniently hold it in our pockets. Easy and quick detection of RF bugs of different types, including VHF/UHF transmitters, GSM bugs, wireless video cameras, Wi-Fi audio and video transmitters, vehicle transmitters, body-carried transmitters, etc. How to use the iProtect 1205 Portable Bug Detector? For more information regarding the usage and features of iProtect 1205 please consult the specifications PDF offered for download below.